Amidst the barrage of the daily news cycle and the tumult of our personal lives, it may seem natural to contract out of fear or anxiety. But is there a way to face our lives and the world without closing off our hearts? 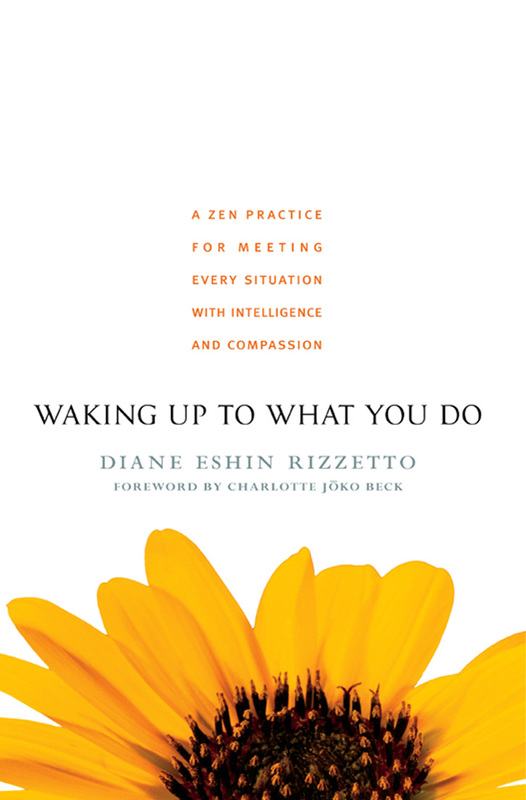 There is such a path, says Zen teacher Diane Rizzetto. Exploring the teaching of the Buddhist paramitas or “perfections,” she writes of “a path to reveal our deepest human capacity to give and receive, to patiently bear witness to whatever is arising in the moment, to take skillful action based on clarity and wisdom, to persevere with fortitude, and to rest in the silent stillness of each breath.” Combining Zen teachings with accessible anecdotes from her own life and the lives of her many students, Rizzetto demonstrates the possibility of living with a hopefulness that is grounded in the present moment—a practice of spiritual nourishment and deepening wisdom. Every day we receive news of cruelty and pain around the world. It’s not easy to escape the knowledge of the suffering people are inflicting on other people, whether on our own block, in our own town, or across the world. The reality that we live in a world filled with danger and uncertainty seems to greet many of us when we wake each day. And the abundance of instant news and social media makes certain that we are immediately informed of the latest catastrophes—bombings, killings, natural disasters, abusive and unstable governments, and on and on. Anger, divisiveness, cruelty, fear, and hopelessness seem to be at the forefront of human affairs around the world. And yet, sitting with my cup of tea each morning as I read the newspaper, I am struck by the contradictory behavior among people. On the one hand, there is much evidence of violence and division, and, on the other hand, a disaster such as an earthquake, flood, or terrorist attack can kick us into an immediate response to help others. In a split second, all that seems to separate us—skin color, religion, nationality—falls away, and we give of ourselves completely as our awareness turns toward the present moment and what needs to be done. There is plenty of evidence that we are capable of turning our efforts to meet the reality of what is, of taking compassionate action because it is the right thing to do. Yet, as we go about our daily lives, we can easily lose touch with this fundamental human capacity to bridge our perceived separations and connect with others, and thus we isolate ourselves, planting seeds of suffering for ourselves and others. And it seems the more terror and pain we experience, the stronger our fear and our desire to protect ourselves and our loved ones become. So, we may find that we become more selective about what and who we will let into our awareness. We may tend to hold back, hold in, and enclose ourselves in a tight circle of protection in the mistaken assumption that such a circumstance and state of mind makes us safe. Sadly, we often don’t even know we’re closing ourselves off from the richness of all that truly supports and sustains us. And because we do so, we open the path to fear, anger, despair, and hopelessness. This book offers a different path, a different way to meet and engage in the reality of the world in which we live. It offers a path to reveal our deepest human capacity to give and receive, to patiently bear witness to whatever is arising in the moment, to take skillful action based on clarity and wisdom, to persevere with fortitude, and to rest in the silent stillness of each breath. In this way, it offers us not a path to deep hope, but a way to engage through deep hope. Life is rising up to meet us at every moment. The question is: Are we there to meet it or not. The Zen precepts offer supremely effective tools for meeting every moment of our lives with mindfulness. They help us develop a keen awareness behind every aspect of our behavior-to "wake up to what we do" from moment to moment. As we train in mindfulness of our actions, every situation of our lives becomes our teacher, offering priceless insight into what it really means to be happy. It's a simple practice with transformative potential. Enabling us to break through our habitual reactions and to see clearly how our own happiness and well-being are intimately, inevitably connected to the happiness and well-being of everyone around us.